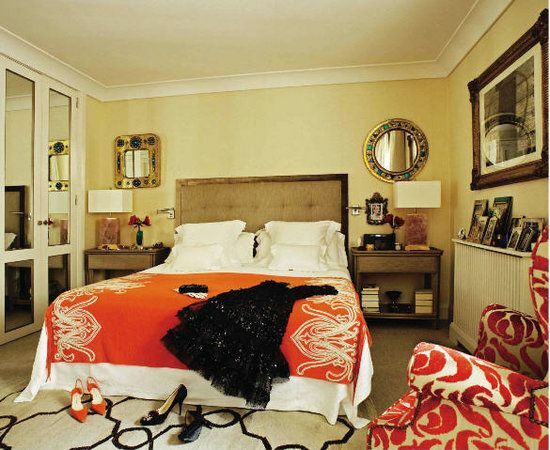 Seeing all of the ikat pillows in Nati Abascal's place in Hola Magazine makes me think about the below shoes. Would you dare to wear these fun wedges that were designed by Julian Louie for the Aldo 2011 Spring collection? My shopping ventures usually do not include anything out of the Marshalls, TJ Maxx realm but I would certainly enter the mall to check out the above fun shoes. Does that mean that if they are selling them @ Aldo that they will be reasonably priced..hmmm. 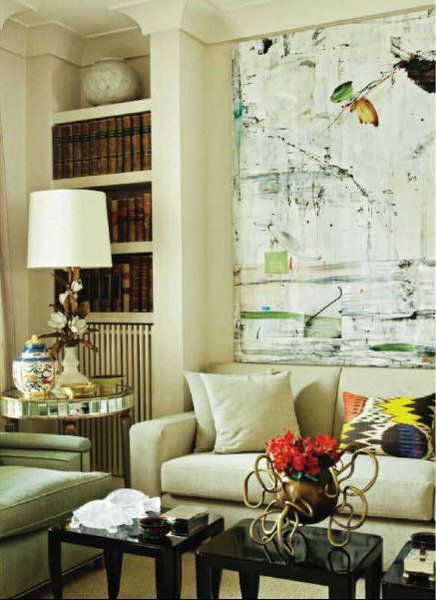 I always think it's delightful when a sofa is positioned in front of or in between bookshelves. So cozy. 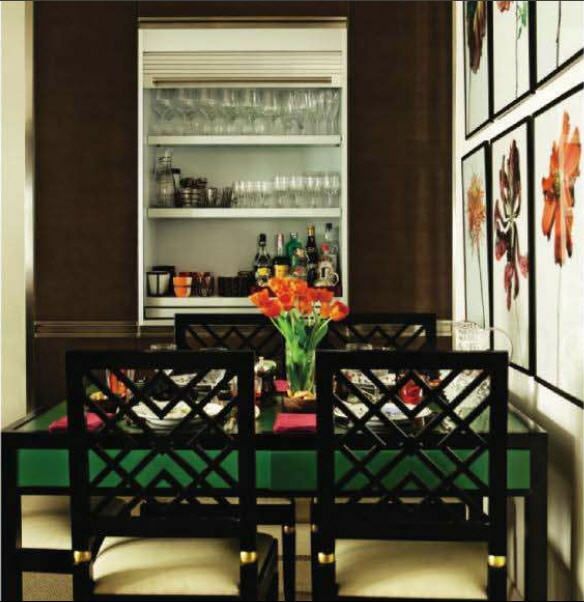 Oh, yes and the ikat is gorgeous too! 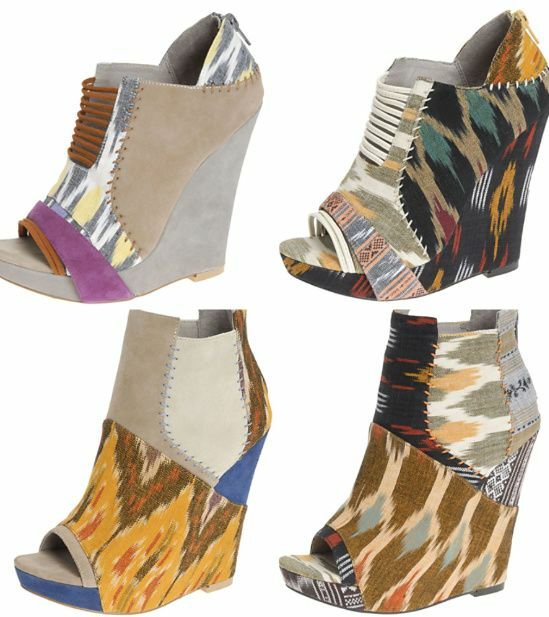 Oh mylanta - I need those Aldo ikat wedge confections in my life NOW. Those are d-ope. Love love love them. How are ya, mamacita? Hope things are well! ah these pictures are so stunning. 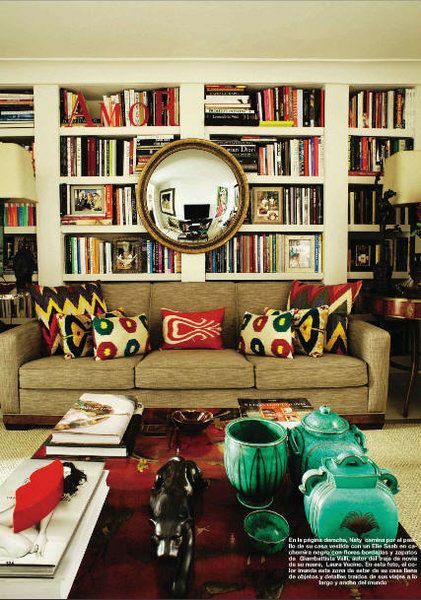 love all the color and mix of patterns. I was just perusing flor.com and noticed that had an Ikat patterned carpet tile. Very cool! 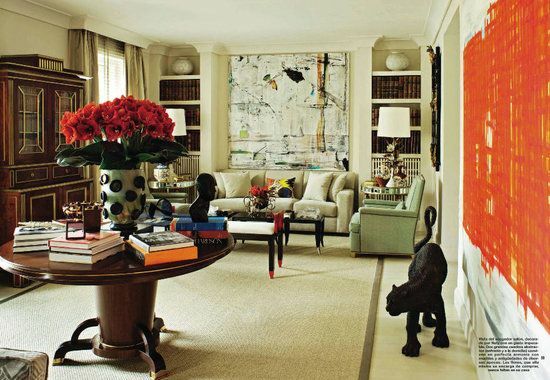 Well I shouldnt expect anything less from Nati Abascal, she is such a style icon! 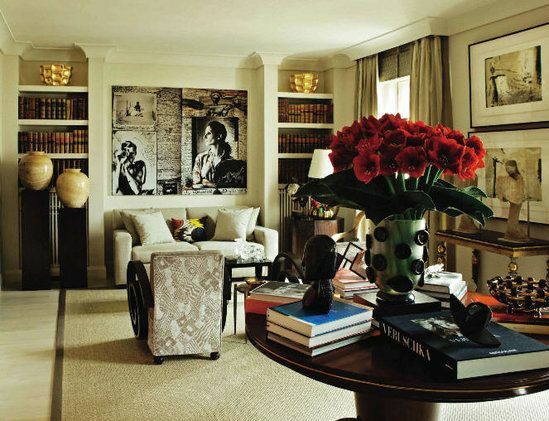 beautiful, love the book shelves and the mirror! i dont think ikat will ever be dead and i hope its here to stay!!! I hope not, I just ordered 12 yards to make drapes for my family room! Oh, and I NEED THOSE SHOES!